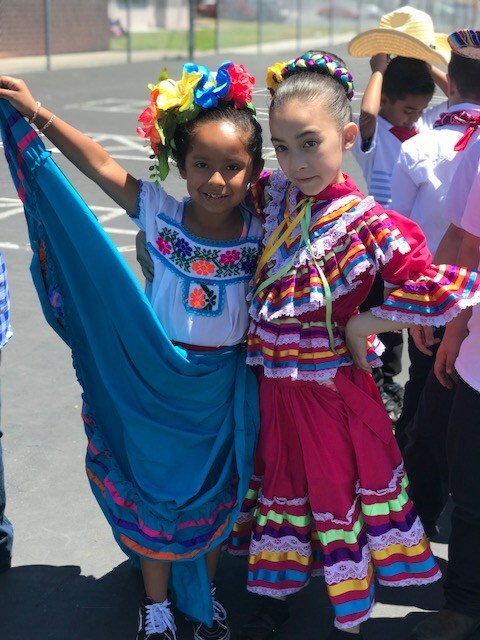 The Cinco de Mayo celebration program includes performances by the Westminster High School folklorico dancers as well as acts performed by our very own Willmore students. The assembly would not be complete without performances by our Spanish Dual Immersion classes. Our TK class will dance to “El Baile de la Ranita”, kindergarten will sing and dance to “La Bamba”, first grade will dance to “Un Poco Loco”, and the crowd will be excited to finish the celebration when the Preschool Dual Immersion class dances "La Raspa!". Teachers will enjoy a traditional lunch donated by the amazing PTA and parents to kickoff Teacher Appreciation Week, so thank you for your generous and thoughtful contributions. Many thanks to all of the performers and especially Willmore Spanish community liaison Aida Ocampo who organized the show. At Willmore, our commitment is to provide all students the opportunity to become multilingual, multilliterate, and multicultural global citizens!